Poland’s government wants to reap the economic benefits of immigration while persuading its supporters that it remains opposed to it. With foreign workers coming to the country in record numbers, this is a balancing act that will inevitably collapse – with potentially dangerous consequences. The road from Drohobych to Boryslav. The picture is eloquent. A long road stretches out into an elevated distance. The relicts of Soviet industry rot in the foreground. The asphalt is pockmarked with craters – more pothole than road. The view slopes sharply away, while the hills in the background form little more than a distant promise of a destination, as the road seems to lose itself in a thicket of leafless trees before it can reach them. The sky is gray and ominous, though lighter shades illuminate the wooded line of the horizon. A single white passenger vehicle picks its way among the potholes, while an old Russian truck lumbers up the hill to greet it. 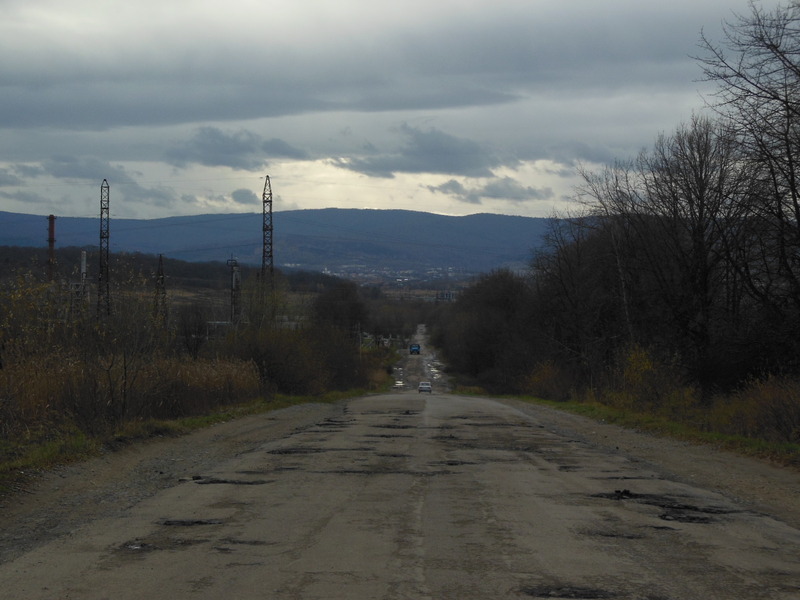 I took this photograph on the main artery between Drohobych and Boryslav – two medium-sized towns on the cusp of the Carpathian Mountains in the west of Ukraine. The battered surface of the road goes a long way to explaining why hundreds of thousands of protesters – many of them from the western regions – have filled the streets and squares of Kyiv in recent months to demand transformation.